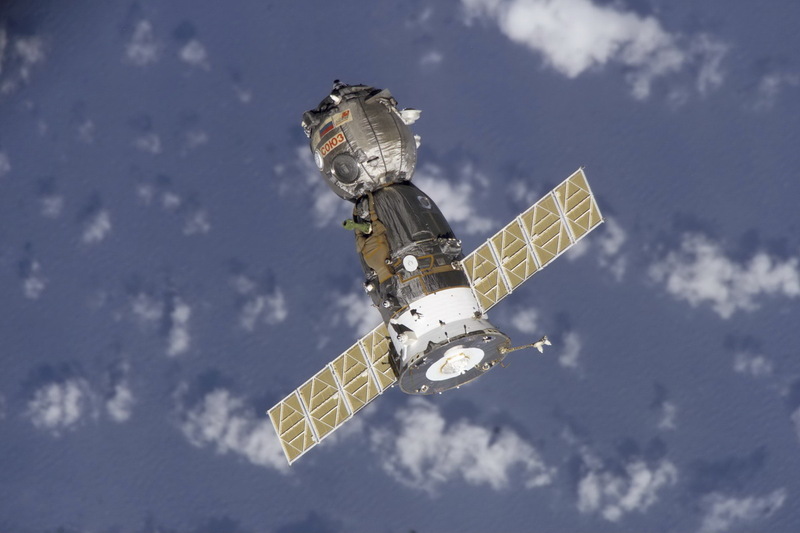 The Soyuz Program dates back to 1966 when the first unmanned flight was performed. The first manned flight was in 1967, but the Cosmonaut on board, Vladimir Komarov, died during the Descent Phase of the mission because the capsule’s parachutes did not open. Afterwards, more unmanned flights were made before crews were once again allowed to fly the vehicle. The only other fatal Soyuz Flight was Soyuz 11 that suffered a premature cabin depressurization because of a faulty seal – also killing the entire crew of three. Three custom made Kazbek Seat Liners are installed inside the Module that are specially made for each individual crew member. 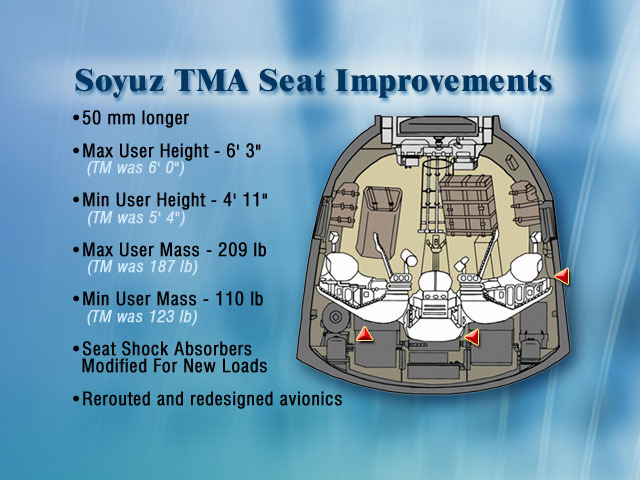 A shock absorbing system is installed on the crew’s seats to dampen the impact the Soyuz experiences during landing. Also, it is outfitted with the spacecraft’s fully redundant parachute system consisting of a pilot chute that is deployed first after computers issue the parachute opening command during entry. The Pilot chute is followed by a Drogue Chute (16m²) and the Main Chute (518m²) to slow the vehicle down to a safe landing speed. In the final moments before landing, the Entry Module separates from its heat shield that is used to protect the vehicle during the re-entry process. This exposes the six Solid-Fueled Soft Landing Engines that are fired just a split second before landing to slow the vehicle down to its final landing speed. 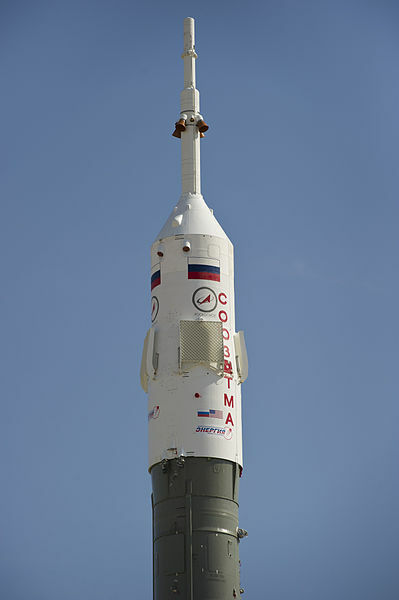 A fast-opening parachute system is also installed on the module to support Launch Aborts. At the same time, the abort motors mounted on the Launch Escape Tower ignite and the spacecraft under the Payload Fairing is carried away from the launch vehicle. The burn has a duration of up to six seconds. The abort motors provide 723 Kilonewtons of thrust. After burnout of the escape motors, the descent module separates from the Orbital Module and the Shroud before firing engines to drop out of the Fairing. 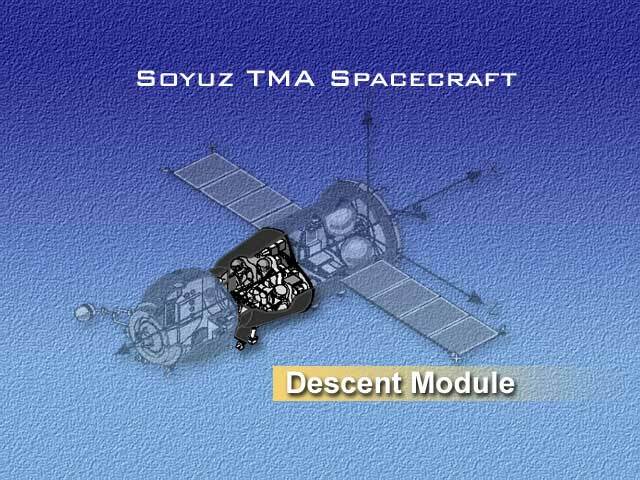 The Entry Module deploys fast-opening parachutes and the Module’s heat shield is jettisoned to expose the Soft Landing Engines. The capsule executes a nominal landing. Should the abort occur while the vehicle is still at the pad, the SAS can lift the capsule to an altitude of 1.5 kilometers causing it to land 3 to 4 kilometers away from the rocket. A minimun altitude of 850 meters is required to achieve full parachute deployment for a nominal landing. The minimun landing distance from the launcher is 110 meters. During the abort scenario, crew members experience up to 10 G’s. 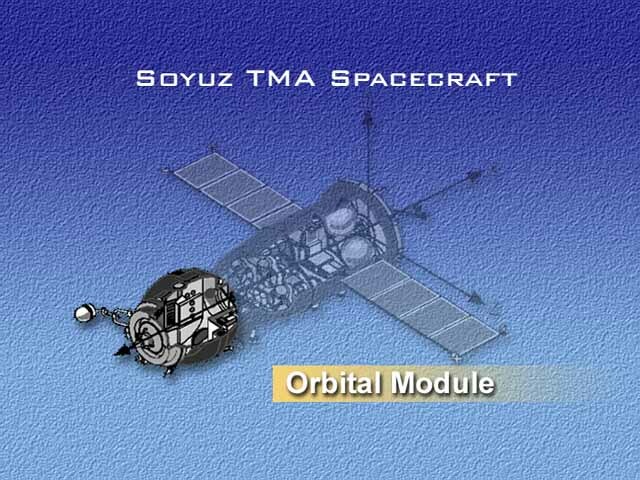 After being delivered to Low Earth Orbit by the Soyuz FG Launch Vehicle, the Spacecraft deploys its solar arrays and communication antennas to begin on-orbit operations. After orbital insertion, the Spacecraft starts two days of Rendezvous Operations to link up with the Space Station including several main engine burns to raise its orbital altitude and modify its trajectory. Once reaching the vicinity of the Space Station, the KURS automated docking system takes over. The Vehicle makes a flyaround of ISS to align itself with its docking port. Flyaround distance is about 100 meters. 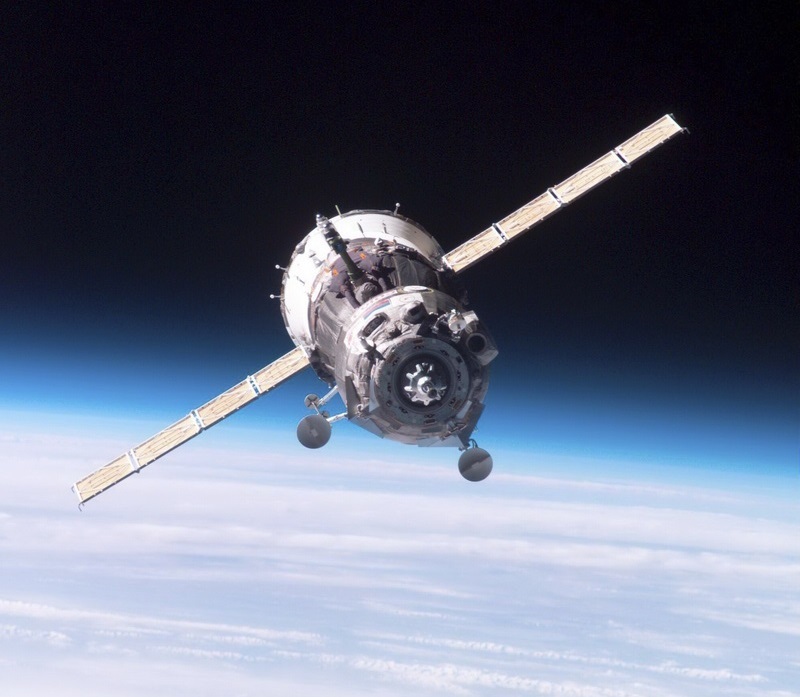 Once being alignd with the docking port, the Soyuz initiates a period of Stationkeeping to give mission control a chance to asses alignment and vehicle systems before final approach is initiated. All aspects of the Rendezvous and Docking are controlled in automated mode, however the commander of the Soyuz Spacecraft is ready to assume manual control and conduct a manual approach and docking should there be any problems during the automated docking sequence. After initial contact and capture, a hard mate between the two docking interfaces is formed and a 1-hour leak check operation kicks off. 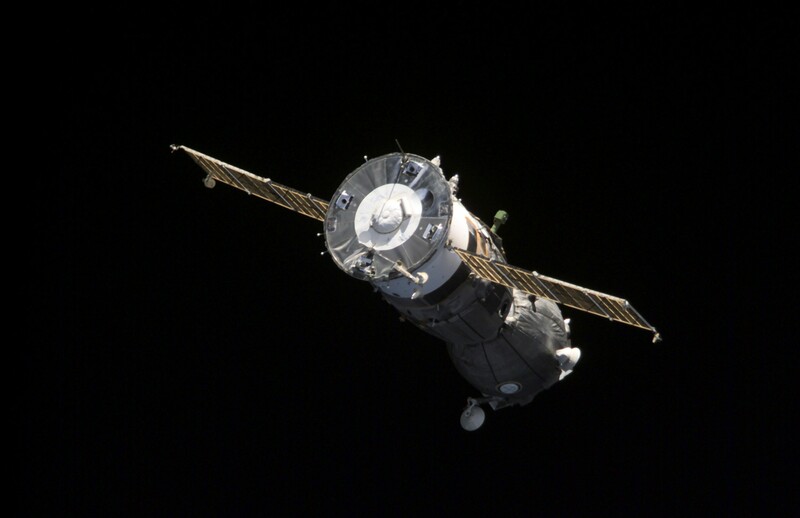 Hatches are opened and the crew’s and Soyuz’ Stay aboard the Station begins. 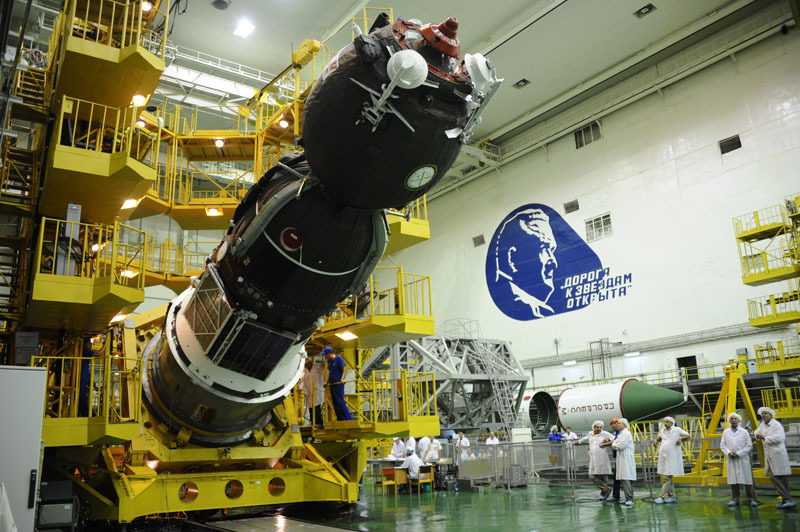 During the docked phase, most of the onboard systems of the spacecraft are deactivated. 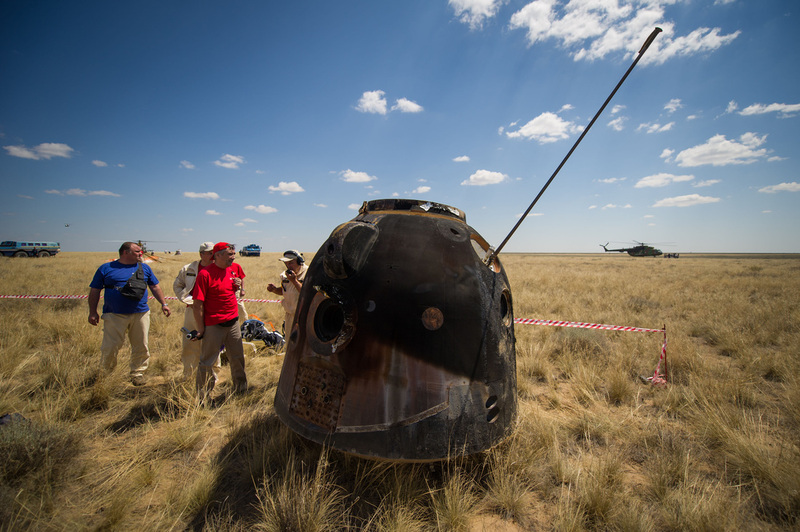 During the long duration mission, the Soyuz is tested periodically and the crew checks their Kazbek Couches and performs regular landing simulations. 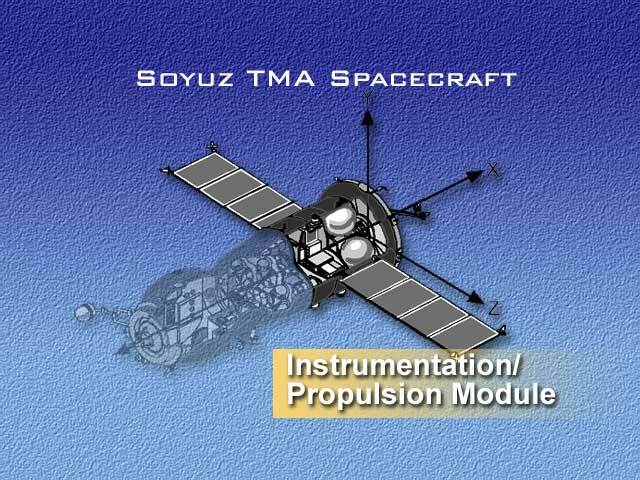 Soyuz can stay docked to the Station for up to six months, however modifications are under development to increase docked time to one year. When the crew gets ready to depart the station, the Soyuz is activated and hatches are closed. 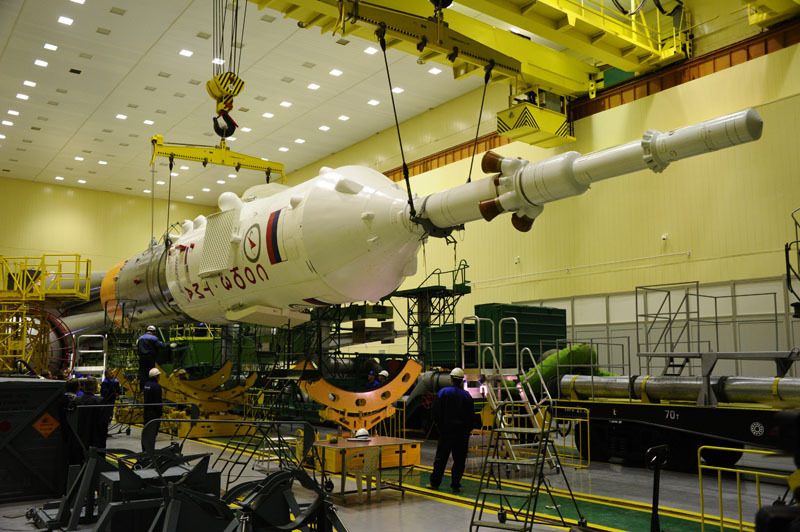 The leak check operation is repeated while the crew also closes the Entry Module hatch and ingresses the Sokol Launch and Entry Suits before getting strapped into their seats. 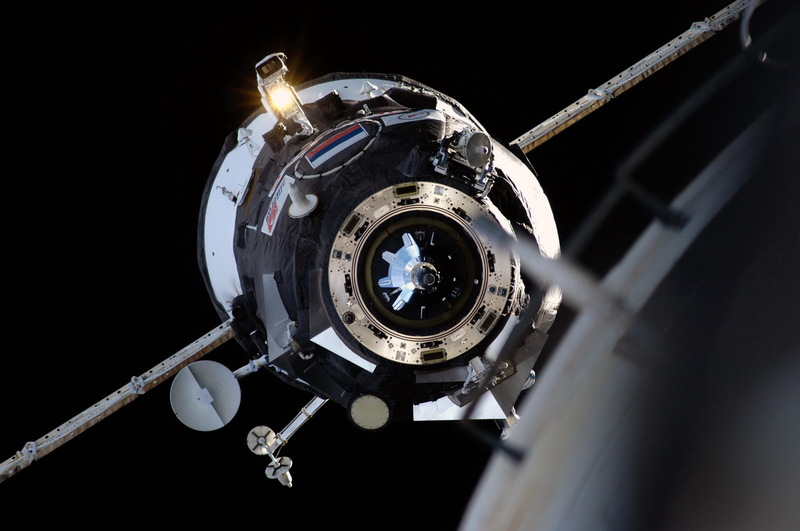 Undocking is accomplished by opening hooks and latches that were used to form the hard mate between ISS and Soyuz and initiating springs that push the vehicles away from each other. 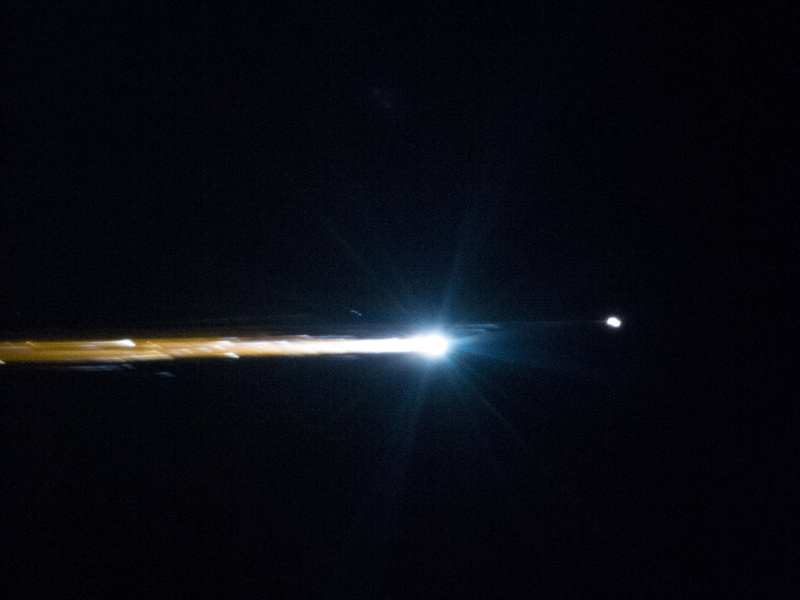 At a distance of 20 meters, the Soyuz performs a 15-second separation burn to leave the vicinity of the Station. 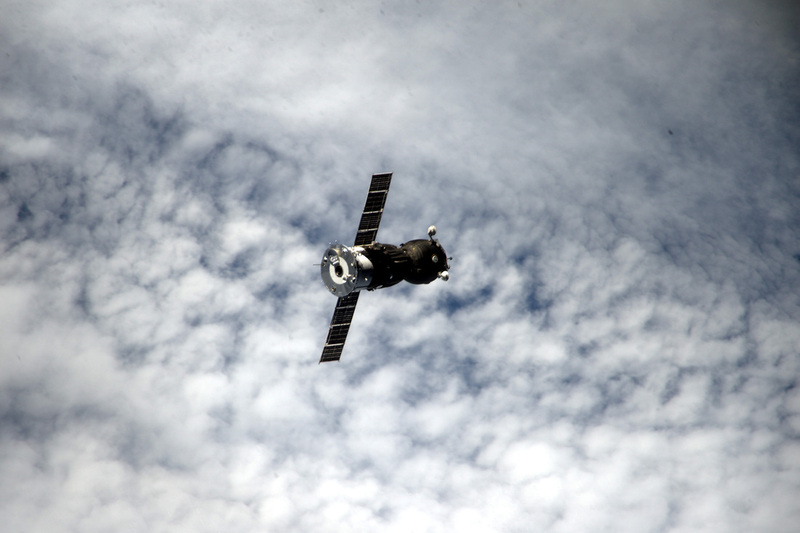 A period of several hours of free flight follows during which the vehicle retreats to a distance of 12 Kilometers behind ISS. At that point, the Deorbit Burn is conducted by igniting the SKD Main Engine to slow the vehicle down by about 115 meters per second, just enough to place it on a re-entry trajectory. 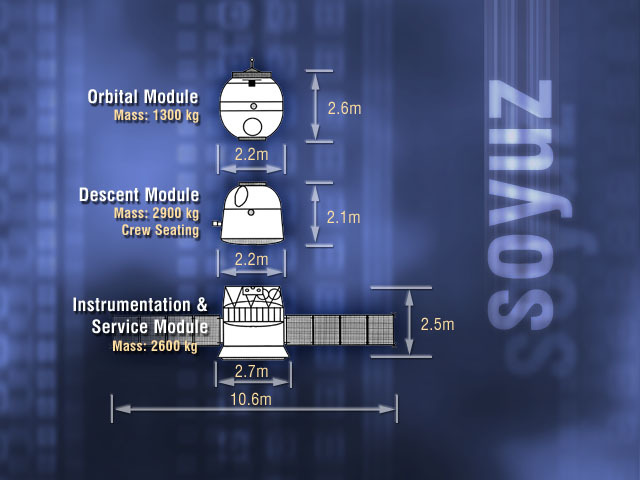 Minutes from Entry Interface, the three Soyuz Modules are pyrotechnically separated and the Entry Module maneuvers to its Re-Entry Attitude. During the entry process, the vehicle is protected by its ablative heat shield. At an altitude of about 9 Kilometers, the Pilot Chute opens and deploys the Drogue Chute that slows the vehicle from 240 meters per second to 90m/s. At an altitude of 7.5 Kilometers, the Main Chute is opened and slows the vehicle down to 6 meters per second. 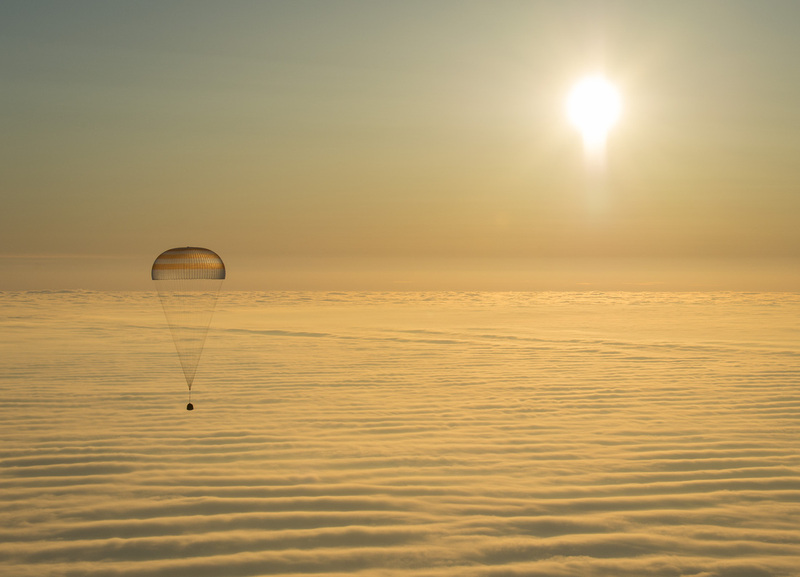 While flying under the main chute, the Soyuz transitions from a nearly horizontal flight to a vertical descent. Also, the heat shield is jettisoned and the propellant tanks are vented. Dropping the heat shied exposes the soft landing engines and the landing radar to provide navigation data. Just a split second before landing, the Soyuz ignites its six solid-fueled Soft-landing Engines to dampen the impact. Landing speed is 3 meters per second. Inside the vehicle, the Kazbek Seat Liners have a built-in shock absorbing system to dampen the impact load. After landing, recovery forces open the Entry Module Hatch and extract the Crew. Landing occurs in the Kazakh Steppe.